Construction disputes arise for a wide variety of reasons in a construction project. Among the many reasons for construction claims include, contractor's fee disputes, alleged negligence by one or more of the parties, delays in construction, issues related to change orders, liens, and changes in scope or conditions at a project. While sometimes litigation or arbitration in a construction dispute is unavoidable often times it is not the best answer because of the time and expense involved. Mr. McMillan will help you evaluate all possible alternatives at your disposal at the outset. Although, Mr. McMillan's principle office is located in Larchmont, New York in Westchester County, he also has branch offices in New York City and Stamford, Connecticut. 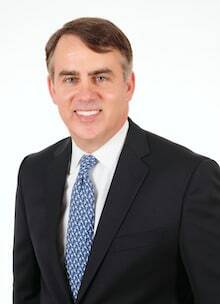 Over the years, Mr. McMillan has appeared as a construction law attorney in many of the local Westchester County Courts. Due to the fact his construction law offices are located in Westchester County - Mr. McMillan knows and has worked (either with or against) many of the judges, arbitrators and/or mediators who will sit in judgment on your construction dispute or legal case. In addition, due to his familiarity and prior appearances in the Westchester County Courts - Mr. McMillan has often appeared in front of the Judges in the adjoining counties - including the New York City Boroughs of Manhattan, the Bronx and Queens and the many Counties adjoining Westchester. From the first time he conferences your case with you - Mr. McMillan's sole objective will be to work with you to choose the best possible course of action. Please call our offices and/or contact us online for a free telephone consultation with a New York construction attorney regarding your case. Call Mr. McMillan for a free consultation at (914) 358-4326 or (917) 538-5016.